I'm sure you've heard of shows like As the World Turns, Law and Order and Another World. 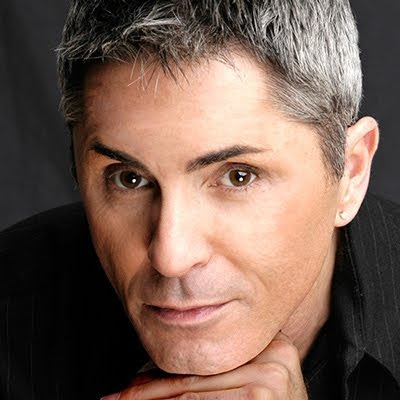 Well, makeup artist Kevin James Bennett sure has -- because he's won multiple Emmy awards for his work on those shows and pops up on reality TV shows all the time. Read on to discover his absolute favorite foundation, the makeup artist who set him on his path and so much more. I was raised in Brooklyn. I spent 12 years in parochial school, then my college major was Performing Arts and I minored in Practical Psychology. I was “supposed” to be the next big thing in Broadway musical theater ... but Broadway hit a rough spot ($$$) right before I graduated and forgot to tell me I needed a backup plan. I was trained in Theatrical Makeup because it was part of my college curriculum. I came from a family that was involved in music, art and design, so it seemed inevitable that I would do something creative, hopefully visual. I was freelancing doing interior and window displays. This led to a job in the visual department of Bloomingdale’s. I worked with my manager and the cosmetics and fragrance vendors, handling ordering, scheduling, logistics and display installations for product launches and weekly promotional areas. I was sometimes loaned out to the window display department and discovered that the mannequins’ ever-changing looks were done with the REAL makeup sold in the department I supervised. So here I was “painting” faces with makeup. Then karma intervened and I was introduced to an amazing artist at a party. I told him how much I loved the face painting at work and he inspired me to dive head long into makeup artistry as a career ... his name was Way Bandy. Even though the encounter was short, his words resonated deeply and I immediately began training, assisting. I was doing makeup for retail, salons, runway and TV shows ... all at the same time. I was often triple booked in a day and usually worked 7 days a week. I was determined to succeed. It was the live Emmy Nominations at The Rainbow Room in NYC. A few of the actors from the show I was keying, Another World, were presenters and I was doing their makeup. The show had wrapped, and I was packing up my kit when our PR person was heading over to me with the nomination booklet in her hand and shouted “congratulations” over the crowd! I said thanks, and how excited I was about us being nominated for “Best Show.” She looked at me strangely and then said, “Of course that’s great, but you’ve been nominated too, for “Makeup In A Drama Series.” I kind of went numb and I guessed my eyes bugged out a little…then asked if she was messing with me. I had no way of knowing because craft categories aren’t announced, they’re only in the booklet handed out after the live nominations. I didn’t win that year, but have been nominated 4 additional times and have won twice. I guess winning an Emmy should be my highlight, but finding out about my first nomination will always be my favorite moment. 1) Excellent skincare and priming products. Without proper prep, makeup just doesn’t look its best. My kit always has Embryolisse, Skyn Iceland and REN Skincare. 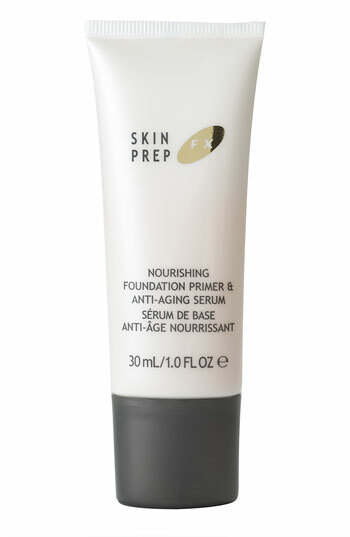 And I would be lost without Cover FX Skin Prep Primer. 2) Cream and liquid foundations that can be mixed to created custom textures and finishes. MAKE UP FOR EVER HD Invisible Cover Foundation, Kevyn Aucoin The Sensual Skin Enhancer and Cover FX Total Coverage Cream. 3) Cream Color for blush, contour, bronzing, etc. I’m really enjoying the new Kryolan HD Shades, but I’ll always have my first love ... Make Up For Ever Flash Color. 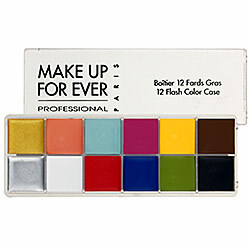 4) Highly pigmented powder colors (pressed or loose) in matte and shimmering finishes. I use these as shadows, liners or add them to other products to customize. 5) Obsessive Compulsive Cosmetics Lip Tars and Shu Uemura Vinyl Unlimited Gloss in Clear. I know it’s superficial and shouldn’t happen ... but we’re judged by how we look. So, it’s important to make sure the basics are maintained. 1) Liquid or cream foundation, mineral makeup, tinted moisturizer ... whatever you wear HAS to be matched correctly. If you apply it to your jawline and it doesn’t seamlessly match the skin on your neck, it’s wrong. The transition from foundation to skin should be seamless. I don’t want to hear arguments or excuses -- this is the ONLY correct way to get the perfect match. 2) Do it yourself or have it done professionally, but make sure that your eyebrows are groomed and shaped to suit your face. Fill in with brow color where needed. Brows “frame” the windows of your soul (the eyes) and should be well maintained. 3) Always carry blotting tissues or a powder compact. A shiny nose and forehead will make the most beautiful face look neglected. I’m humbled by the psychological power makeup has. It can uncover inner fantasies, help actors find a character, and most importantly, it can create self esteem for people who have skin challenges or conditions that keep them from social situations. Pretty powerful stuff, right? For more information on Kevin James Bennett, check out his website here. You can also follow him on Twitter here.